Every information service is connected through the Internet. If your work is any bit related to information, there is no excuse, you have to know what the Internet is and how it works! The relation of information and the Internet is equivalent to the blood and blood vessels of our body, which we have been using and will be using every day of our lives. This course will enlighten your understanding of what the Internet is and how it works. 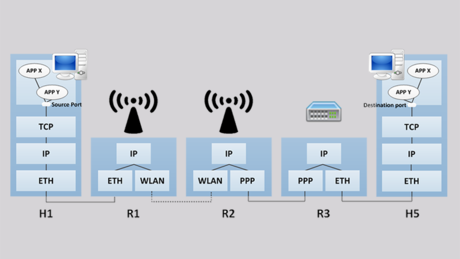 IP (Internet Protocol) IPv4 and IPv6 keep the Internet alive by enabling remote computers to communicate through various inter-connected networks through “inter-networking” technology, which is where the name “Internet” came from. TCP and UDP are used by the end devices (e.g., computers, smartphones, servers, clouds) that are communicating to connect applications/services across the Internet. The details of IPv4, IPv6, TCP, UDP, and Internet operations are covered in this course.